Micropiles, also called mini piles, are often used for underpinning. They are also used to create foundations for a variety of project types, including highway, bridge and transmission tower projects. They are especially useful at sites with difficult or restricted access, or with environmental sensitivity. Micropiles are typically steel pipe with diameters ranging from 2-3/8” to 13-5/8” diameter and larger with usually several wall sizes for each diameter. Pipe can be plain ends or threaded sections. Various grades and strengths of steel are available. Pipe can be prime mill certified, new mill secondary, or used. Installation of micropiles through soil, sand, gravel and cobbles and rock can be achieved via many methods including Rotary drilling, impact driving, jacking, and vibrating. OCI offers threaded and plain end micropile casing in any diameter, wall thickness, grade, or length required. Typical micropile casing is flush joint with tapered v-threads, however OCI manufactures many Starter sections with cutting teeth, ring bits or other cutting structures that can be made to order. We offer documentation for Buy America jobs as well as documentation required by government agencies or private contractors. OCI also offers chemical and mechanical testing of materials to meet your projects requirements. 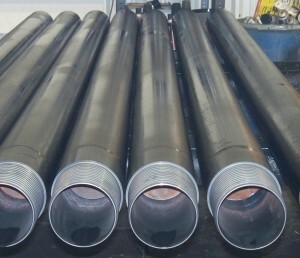 Multiple use casing is used in various applications including piles, anchors, geo-thermal, and grouting. Multiple use casing can be installed using rotary, rotary percussive, or driving methods. Multiple use casing is constructed with threaded ends that are made of alloy steel and with a thread profile suitable for repeated assembly. Threaded connections can be cylindrical or conical and single, double or triple start. Ends can be welded or with flush joint couplers. OCI makes multiple use casing in any diameter or length required. We can supply casing based on standard designs, match your existing casing, or design a casing for your special application. OCI can manufacture and supply threaded and coupled casing for various applications including water well, conductor pipe, and piling. We can machine NPT, water well, and various API style casing threads. OCI can manufacture and supply casing with many standard and special styles of threads including v-threads, rope style threads, square threads, round threads, and buttress threads. OCI can supply large diameter pipe for caisson work. 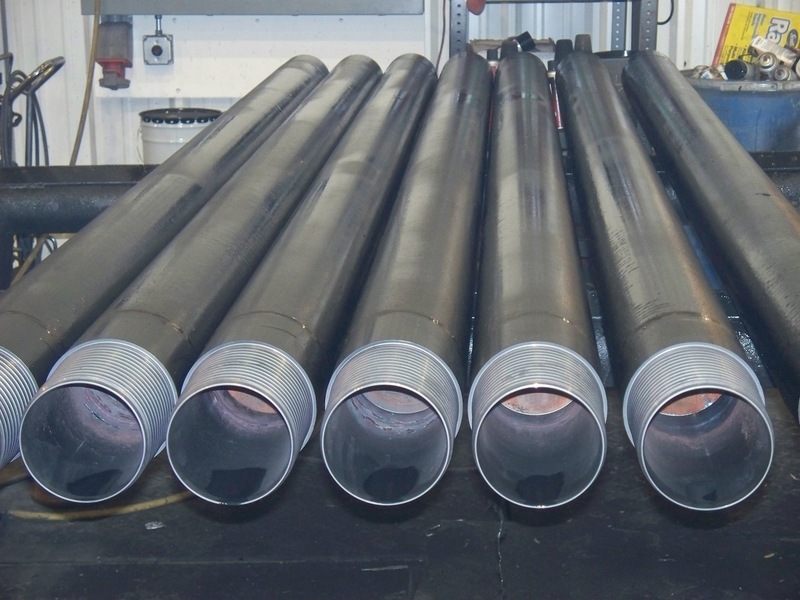 We can fabricate and supply pipe in plain end, j-slot drive, starter sections, long lengths or any configuration a project requires.